2019 - 2020 Housing Application is OPEN! The on-campus living experience with UNT Housing and Residence Life is a vital part of the educational process at UNT. including policies, procedures, and services that we provide to our residents. 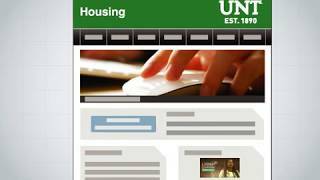 Take a few minutes to familiarize yourself with what UNT Housing has to offer.